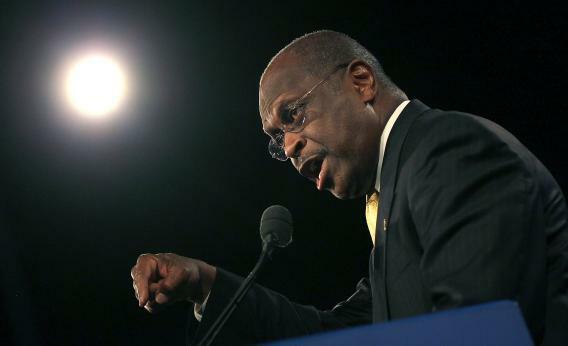 ORLANDO, Fla. – Herman Cain won the Presidency 5 Florida Straw poll with 996 votes, 37.1 percent of the total, blowing past Rick Perry and Ron Paul, both of whom had organized to win here. He more than doubled the Perry vote; more delegates chose Cain than chose Perry and Romney, combined. Of course, Perry had shown up – he was here from Thursday night to Saturday morning, working over delegates personally. By failing so convincingly, Perry’s ensured that the weekend’s “trouble for frontrunner narrative” will be plated in gold and frozen in amber. Why is Cain’s win so impressive? This wasn’t a vote a campaign could overwhelm with its own supporters. To win the Ames straw poll, you need to buy $35 tickets for as many Iowans as possible. Here, delegates were selected in counties, and had to pay $175 to attend the weekend’s events. The relatively poor showing by Paul is better than he could have pulled off in 2007 – he got less than 5 percent of the primary vote – but it gives us a more realistic picture of his grassroots backing. Meanwhile, in the Tea Party-flavored GOP, Cain is a rock star who generated deep effection. Multiple delegates told me they wanted to send the message that he should be second on the ticket. “You got crushed, guys!” laughed Lawson. The road to the the vote count was slow and agonizing. I’m just referring to how it felt for the people in the room. After delegates from all 67 counties cast their ballots, they were part of a roll call… but not, immediately, a vote count. Instead, we were subjected to the typical convention hype for each area. One county had “diversified agriculture and a great lake.” One had the “largest rodeo east of the mississippi.” One was “represented by America’s congressman, Allen West!” Guess which! But in talking to the delegates all day, there was little variation from the panhandle to Miami-Dad, from the I-4 corridor to Pinellas. “I vpted for Cain, but I wish Michele Bachmann had shown up,” said delegate Tom Andrews. “Perry is just too… the words I would use would be status quo.” Multiple delegates told me that had been undecided between Perry and Cain, especially after the debate, but decided to boost Cain because he could use the boost.